Home Featured Post Google Tricks How to How to use Google's 2 Step verification when you are travellinginternationally? How to use Google's 2 Step verification when you are travellinginternationally? Google's 2 Step verification is very robust security measure to make your Google services like gmail, picasa etc hack proof. But more than 90% of the users use SMS as a way of getting the OTP (One Time Password). This becomes a huge problem when you are travelling internationally where you don't intent to use your mobile phone internationally due to huge roaming charges. So to avoid getting stuck, there are multiple alternatives and lets discuss each one in details. Google does not ask OTP if you have a particular device already logged in and if you have checked the option "Do not ask for OTP on this device". If its a Laptop then you will not be required to enter the OTP until you clear your browser cache. Please remember that the OTP on a laptop is browser dependent and if you login to Google / Gmail account using a different browser you will be prompted to enter OTP. The reason for this is that the Google service sets a browser Cookie which indicates to Google that the particular browser session is already validated with a OTP. In case you are using a Mobile phone then you will not be required to enter OTP until you explicitly logout of Google service. Its highly recommended not to logout unless its really unavoidable. This is a very smart option to avoid usage of SMS service all together. All you need is a Android or iOS App and a little configuration and you will be all set. 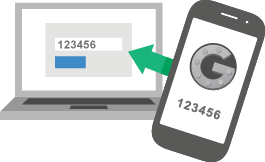 The Google Authenticator generates a OTP every 20 seconds and the OTP is only valid for that duration. This way you can bypass the SMS service all together. The only problem is if you loose your smartphone for some reason then you are in a soup. But there is one more option which can be used as a Backup which is described below. The backup verification code is a set of 10 codes which you get in a txt file. Each code can be used only once and hence you should use these carefully. If you run out of these code you can generate a fresh new set of 10 code over here. If you generated a new set of backup code while you still had few unused codes from previous batch, the new codes will take precedence and previously unused codes will become invalid. I used this method when I wanted to Sign In to my new OnePlus One device when I had visited India. The SMS option was not working as I was not able to see the SMS which was coming on the new device. The text file looks like something below. The above code are just representative don't try to use them they will never work. You should ideally store these backup code somewhere accessible example your wallet. There is one more option and that is you can add multiple mobile devices as secondary mobile devices to your google account. These secondary mobile devices could be from the country you are travelling to. I used this technique very recently when I visited my home country India. So there you go, you have 4 different highly secure options to login to your Gmail account or any google service.